September 18, 2018 | Meagan Miller & filed under Uncategorized. Rookie Volunteer of the Year | Winner: Cori Sanderson? Caitlin MacNab? WHY NOT BOTH! Thanks to everybody who braved the weather and came out to our Volunteer Awards Ceremony. 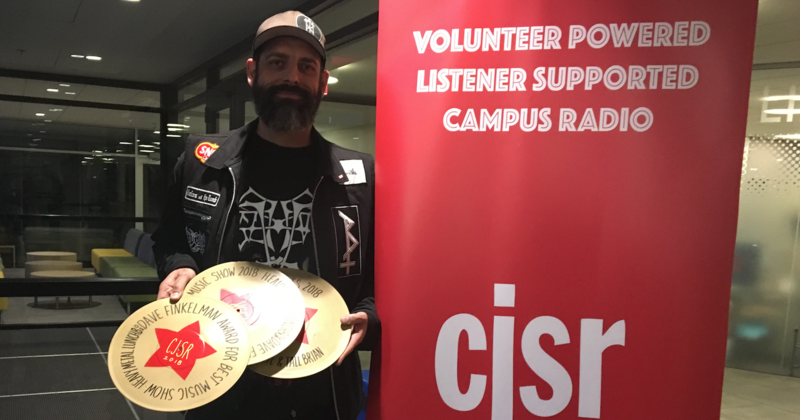 Many thanks for your efforts on the stations behalf all year long – CJSR is not possible without the hard work and commitment of our many volunteers. And to thanks to the University of Alberta’s Students’ Union for letting us use their wonderful venue and for feeding us!